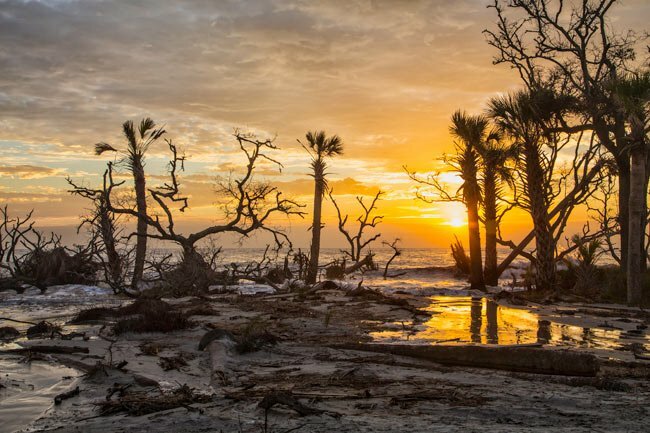 Located just 16 miles east of Beaufort, Hunting Island State Park encompasses 5,000-acres, hosts one million visitors each year, and is said to be the most popular state park in South Carolina. 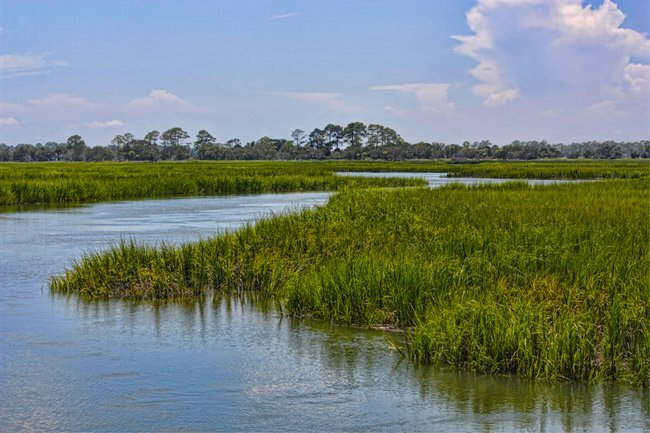 Visitors can explore more than five miles of seashore as well as enjoy the native flora of its maritime forests and salt marshes. 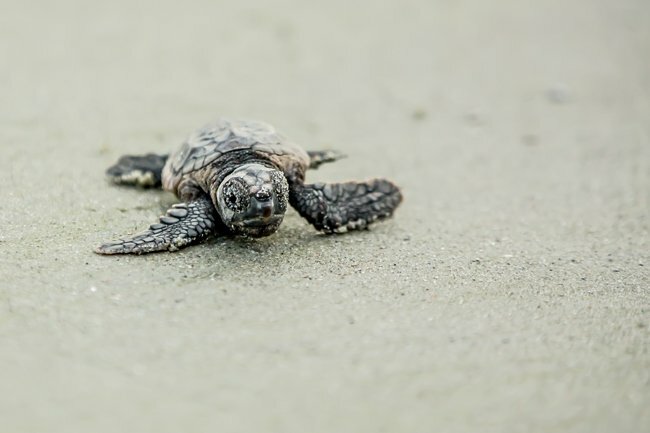 Wildlife is abundant here – in fact, the island received its name for being a prime hunting preserve for nineteenth century planters. Today, however, visitors are asked to shoot wildlife with cameras only. The island was called Reynolds Island in the early eighteenth century when it was owned by Richard Reynolds. The Reynolds family kept the island for remainder of the eighteenth century. When the island eventually changed ownership in the early nineteenth century, the land was subdivided and nearby planters would often take a boat to the island and hunt and fish for weeks at a time. 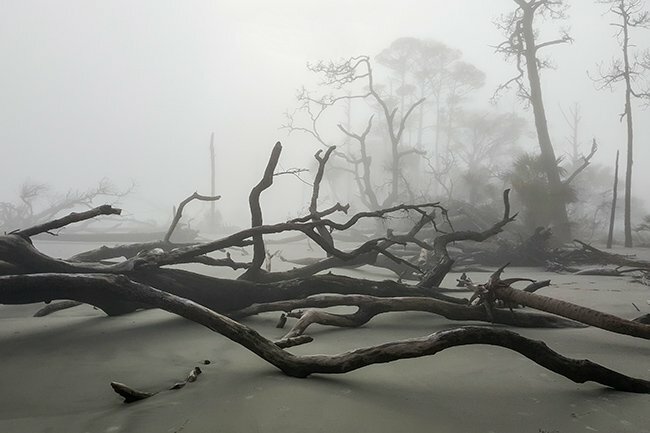 In 1858 the consortium Captain John Fripp and Company purchased 2,000 acres of what was by then called Hunting Island. The company retained it as a hunting preserve. The federal government built a lighthouse on the northern end of the island in 1859, which was destroyed by Confederates during the Civil War in an effort to obstruct Union soldiers headed towards Port Royal. It was rebuilt in 1875 of removable cast iron plates so that the lighthouse could be relocated if necessary. In 1889 erosion caused the lighthouse to be dismantled and moved back a mile and a quarter from its original spot. The towering light almost suffered disaster when the hurricane of 1893 damaged much of the island; however, the lighthouse was spared. It operated until 1933. In 1861 federal troops occupied Port Royal and Beaufort, causing planters and other property owners to flee the area. 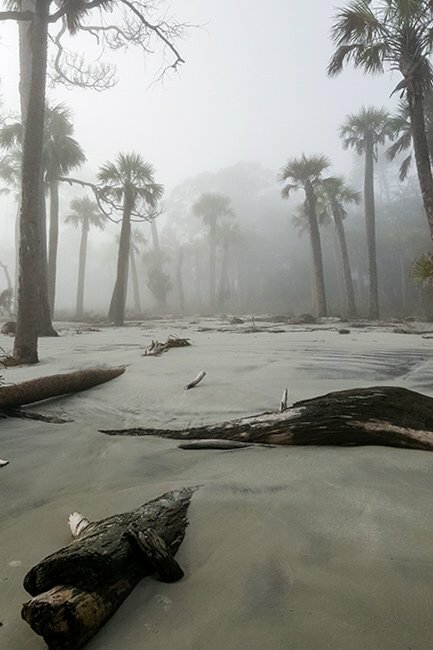 The federal government subsequently seized the abandoned property, including the Fripp and Company land on Hunting Island. The government sold much of the vast acreage at auction in 1876. By the early 1920s the island was owned by the federal government and two private owners from New York and Pennsylvania, who like those before them, used their share as a hunting preserve. 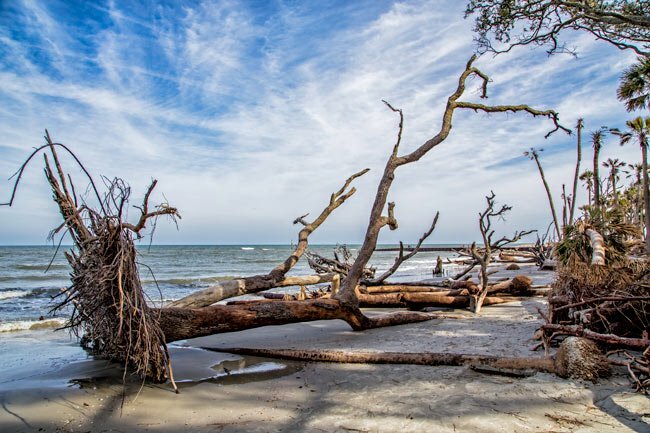 When the Civilian Conservation Corps (CCC) work relief program was established in 1933 by President Franklin Roosevelt as part of the New Deal, Hunting Island was considered a prime location for a state park. Developing and conserving natural land was a chief objective of the CCC, and South Carolina boasts 16 state parks built by the program during the 1930s. 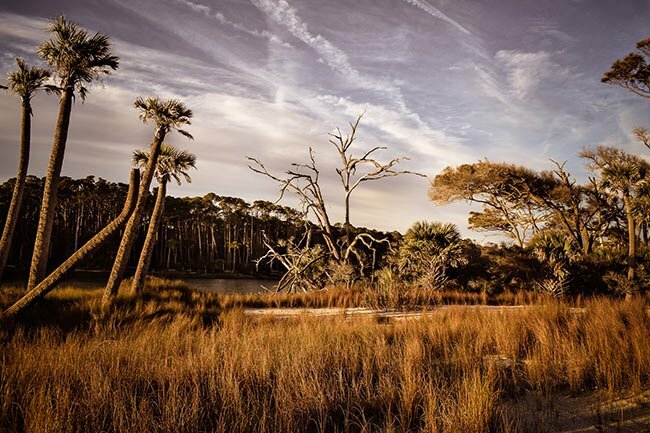 Citizens of Beaufort who hoped to convert Hunting Island into a state park successfully lobbied the two northern private land owners to donate their tracts for a public park. By 1936 Beaufort County owned the entire island after the federal government contributed its holdings toward the park. The county then transferred the island to the South Carolina Commission of Forestry in 1938, and the CCC began building the park. Unfortunately, the project as not without obstacles. 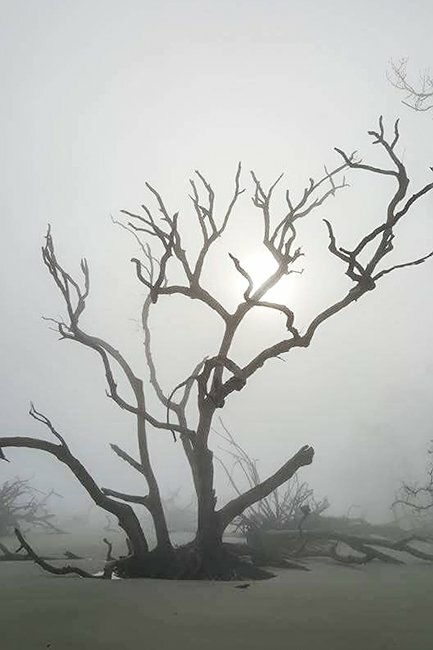 A devastating fire in June of that year destroyed most of what had been built, and in 1940 the island was struck by a hurricane. Yet the park opened to the public in 1941, with work on the facility halted the following year for World War II. During this period, the Coast Guard occupied the island, and the Army Air Corps utilized the lighthouse as a radio tower. 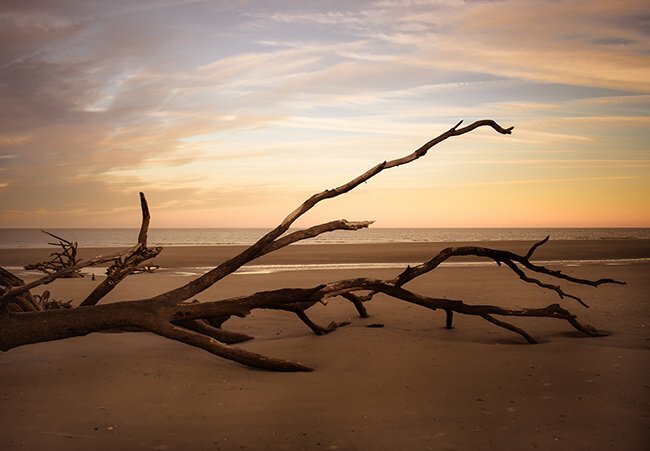 In 1967 the forestry commission transferred ownership of Hunting Island to the South Carolina Department of Parks, Recreation and Tourism. 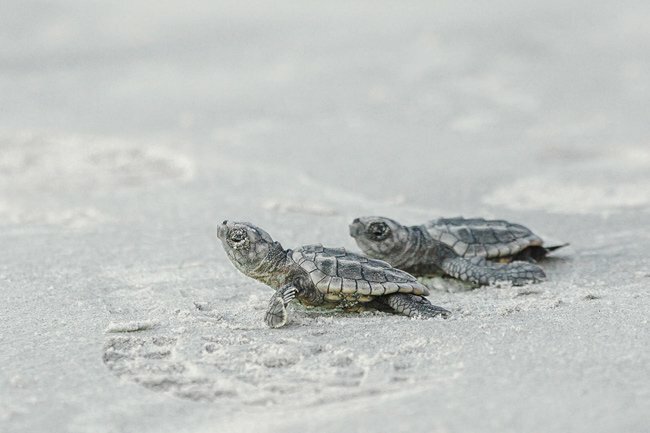 The island is one of the few remaining undeveloped barrier islands in South Carolina. 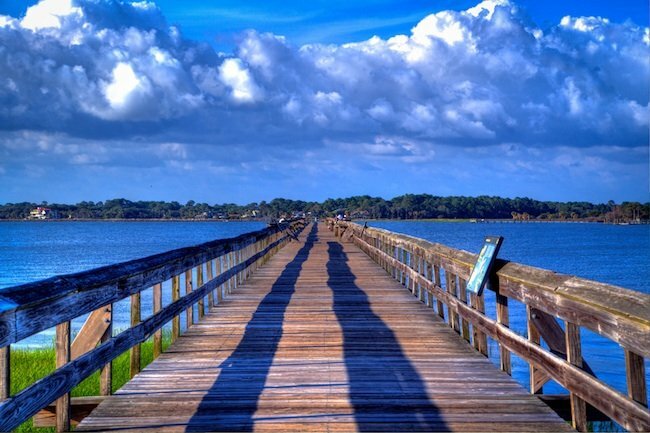 The 1,120-foot fishing pier picture above stretches into Fripp Inlet. 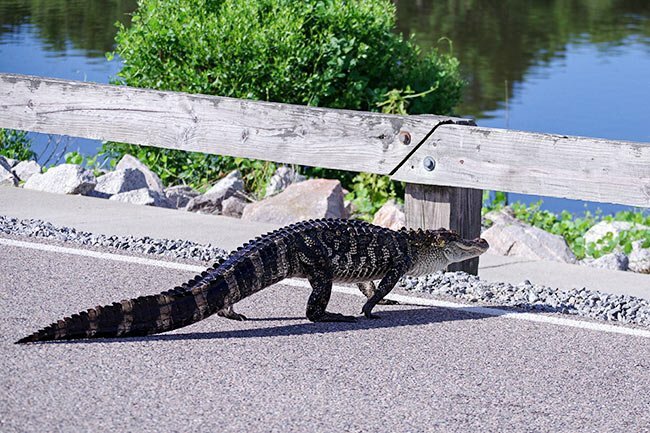 At the entrance to the pier, visitors can find a nature center with exhibits about local wildlife. 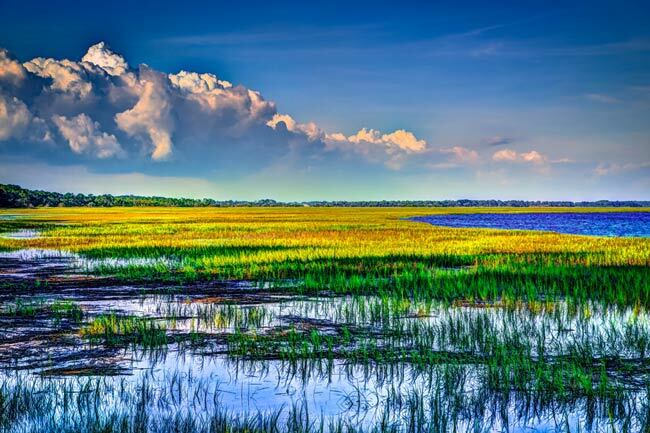 Maps of Hunting Island are a good resource for those going to the park for a day trip or an overnight stay. The park offers primitive campgrounds close to the beach as well as spaces for RVs, and there is now also a single cabin available to rent. 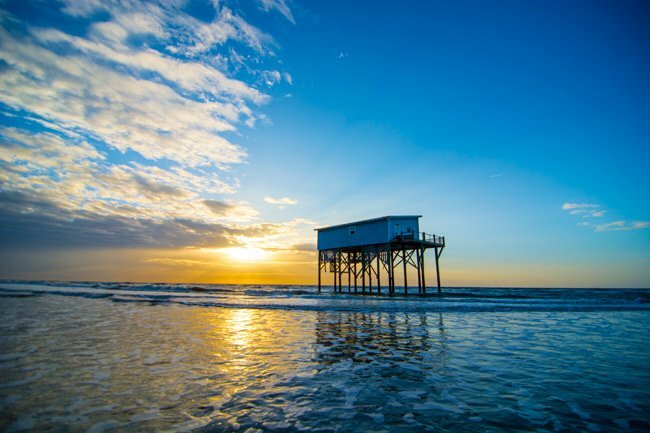 The lighthouse is the only public lighthouse in South Carolina that allows guests to climb to the top – the panorama of pristine nature is worth the hike. 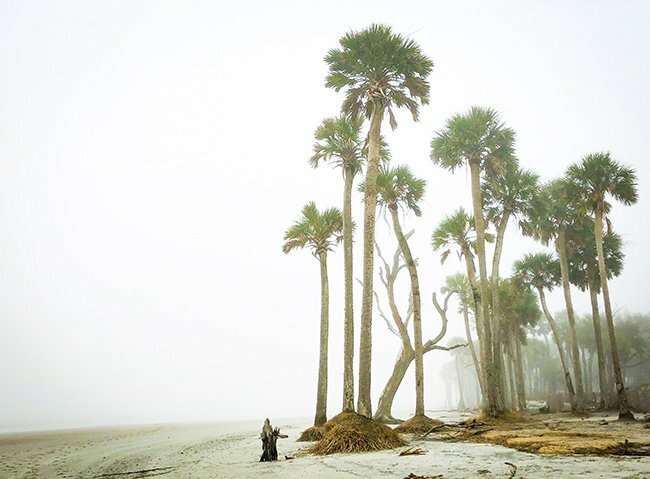 Hunting Island is susceptible to erosion, as evidenced by the lighthouse’s relocation a mile inland in 1889. The move spared the lighthouse from a shrinking shoreline, as that mile is now gone. 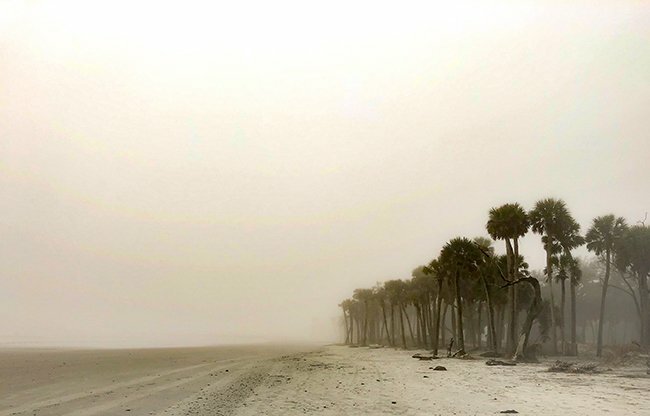 According to Friends of Hunting Island, each year approximately 15 feet of sand wash away from the beach. 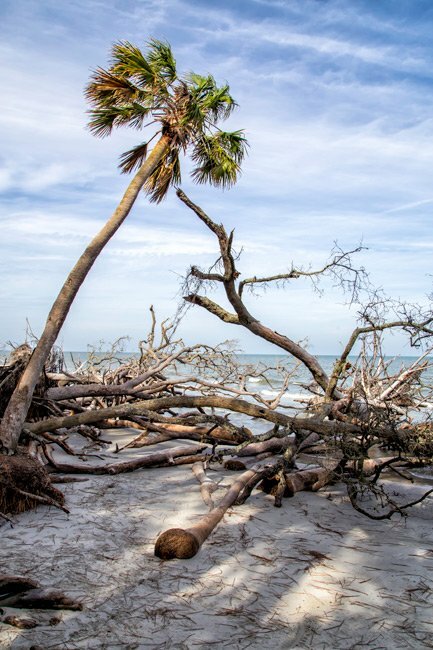 Hurricane damage from 2004 also drastically affected the shoreline, making Hunting Island one of the most quickly eroding beaches on the East Coast. 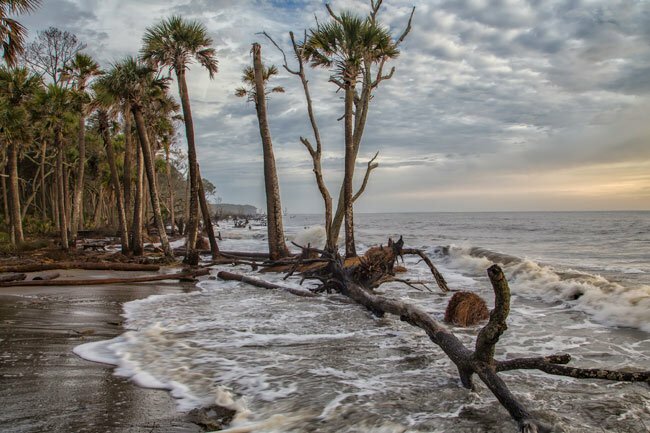 In early October 2007, a devastating tropical storm passed over Hunting Island State Park, raising tides for several days and washing away several cabins located on the southern end of the island. These cabins had served as prime vacation rentals for many years. Today only one cabin is available for guests of the park; all others have been lost to erosion. 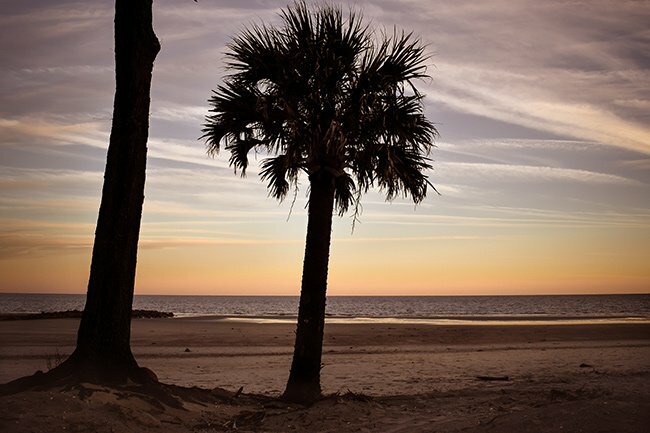 Since 1969, eight beach renourishment projects have attempted to prevent or delay further erosion at Hunting Island. 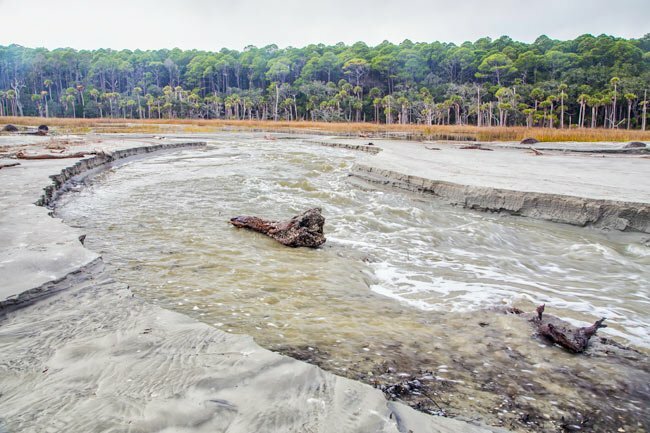 While most of the projects have been supplemented by the United States Army Corps of Engineers, two were paid for exclusively by the state of South Carolina. The most recent project was completed in 2007. While nine groins, or structures meant to trap and block the movement of sand, were called for in that project, only six were built due to funding. 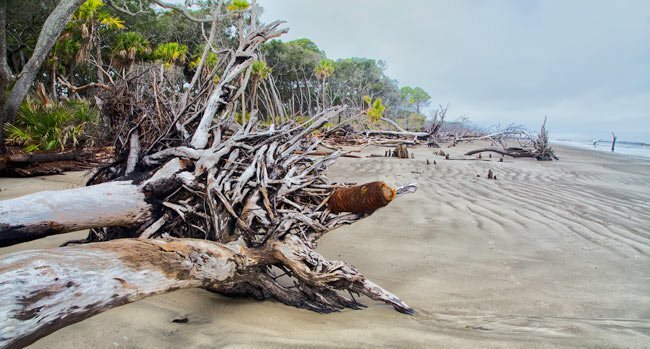 The barrier island will continue to battle erosion as both the state and private groups work to prevent the state park from completely disappearing. 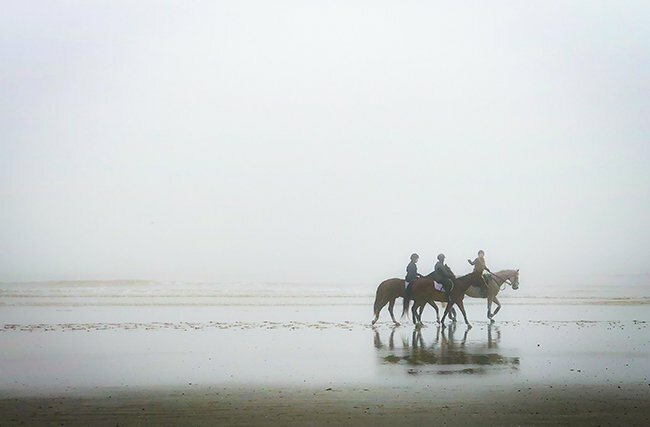 The photos above and below show how the beach, which was once dotted with cottages filled with vacationers, is rapidly becoming part of the sea itself. 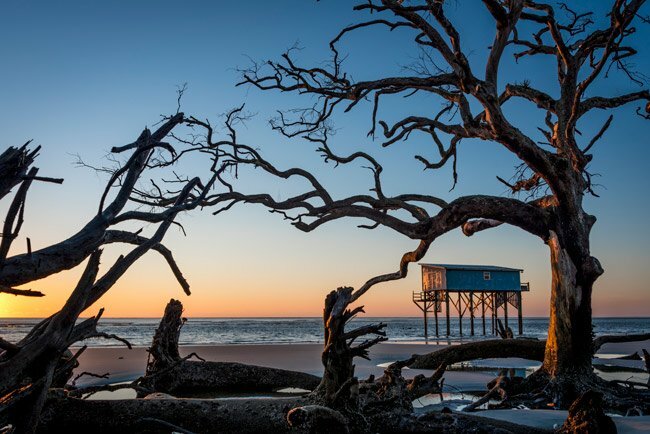 One of the more beloved casualties of Hunting Island’s erosion is the humble beach cottage seen below and at the top of the page. 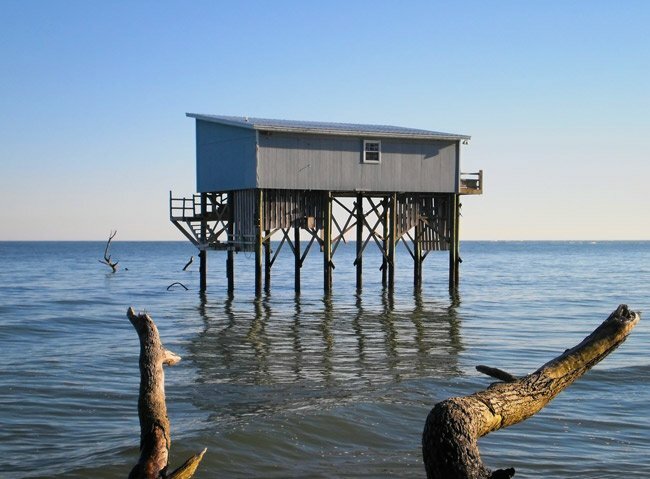 Named “Little Blue,” the cabin boldly stood in the waves that threatened to claim it, held up by 35-foot pilings that for years defied the ocean’s tidal pull. The cabin is one of several privately-owned beach houses that were built on the island on lots leased by the state. The cabin was owned by Sarah Steinmeyer, who bought a house on a state-owned lot in 1978. The lot’s original occupant was Little Blue’s predecessor, Big Blue, a surplus house from neighboring Parris Island Marine Corps Recruit Depot. 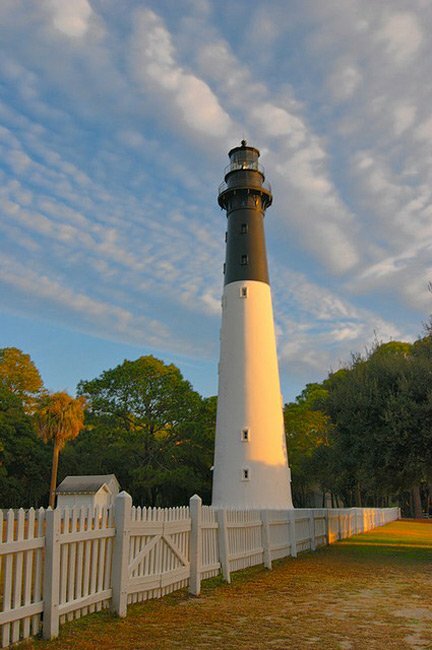 It had been shipped from Parris Island to Hunting Island and restored as a vacation home. Big Blue fell victim to erosion in 2000. The lease of the land requires homeowners to rebuild within two years, so the Steinmeyer family completed this simple cabin of 700 square feet in 2003. However, it did not take the ocean long to find the little home, and the road leading Sarah Steinmeyer and her family to the cabin washed out not long after the cabin was completed. Using a ladder to reach the cabin’s entrance by 2009, the family moved belongings from the house in 2010. The vacated cabin was the last beach cottage standing on the south end of the island. One other beach house was dissembled and rebuilt on the north end of the island, but the others, including all the cabins owned by the state except for one, have gone the way of Big Blue. 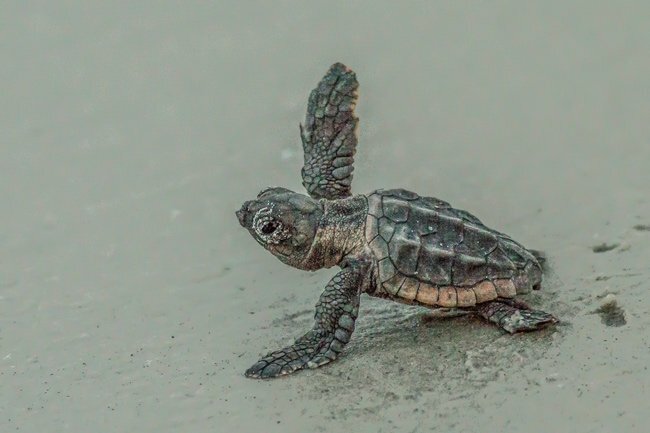 Little Blue even survived Hurricane Matthew, which arrived in South Carolina on October 8, 2016. 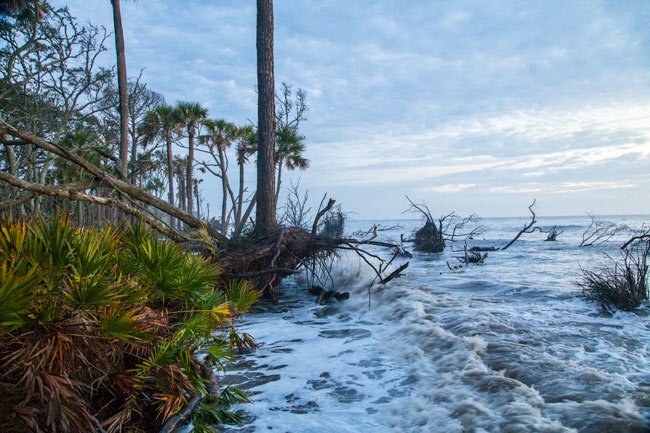 The storm and subsequent floods brought damage and destruction to much of the state, including Beaufort County. However, Little Blue withstood the storm’s surge and violent winds unscathed. The humble house was finally removed in February of 2017 to prevent it from falling into the sea. Very interesting! I was looking for your hours for the lighthouse. We hope you enjoy your trip, however, we are not directly affiliated and do not have access to rental schedules. 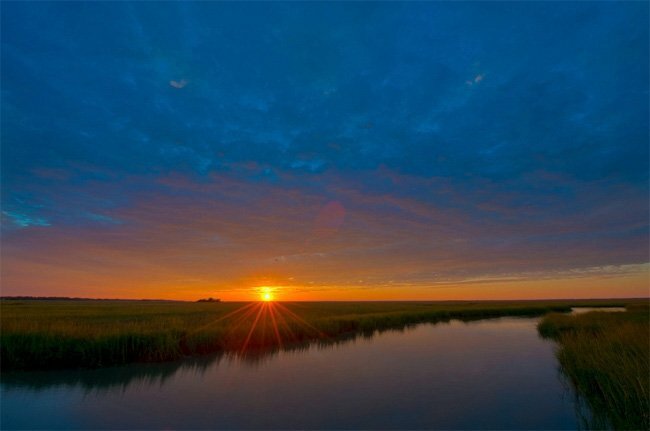 If you visit the official website here: https://southcarolinaparks.com/hunting-island/lodging, it will have all of the most up to date information, hope this helps! How does one learn more about the one cabin available? I very much appreciate the information provided and the photos are amazing. We were hoping to visit in late September or early October, is the cabin available? What are the rates? Thank you very much. Loved it. Had a splendid time taking in the beauty! Coincidence? 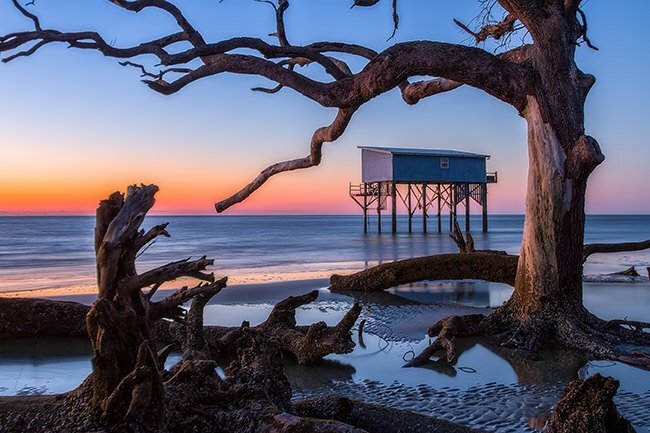 Staying on a nearby island now for a southern sojourn and looking for a great beach, we had already placed Hunting island at the top of today’s agenda. Can’t wait! I’m going to visit family, and this is making me want to stay for ever it is BEAUTIFUL!!!! I would love to get married on that pier!